The first of its kind in the PC market, Zalman's new Resonant Switching power supply offers the size, cost and efficiency characteristics of a standard switch-mode power supply, but with drastically reduced EMI (electromagnetic interference). 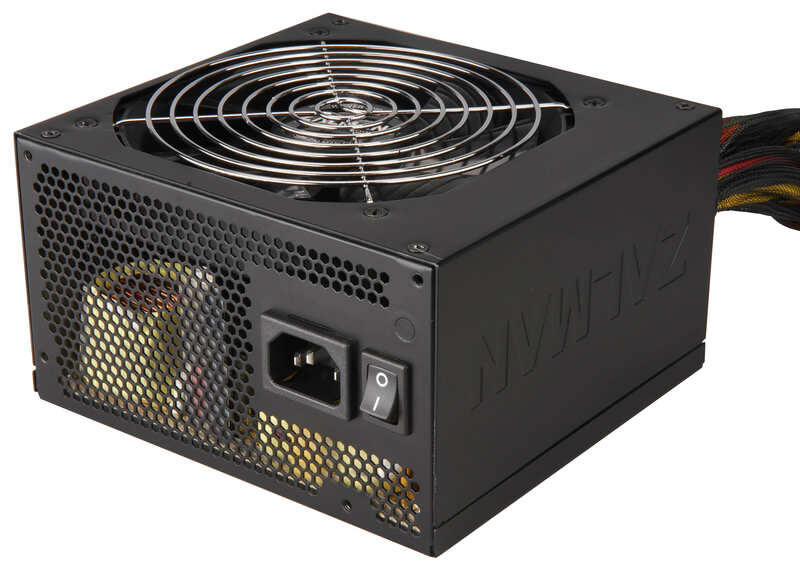 We are pleased to present Zalman's new mid-range power supply which pioneers a complete circuit redesign, utilising a new "resonant switching" system which compares very favourably with standard switch-mode power supplies in several areas. Firstly, EMI (electromagnetic interference) is drastically reduced, meaning that the unit operates much more "cleanly" from an electromagnetic point of view. 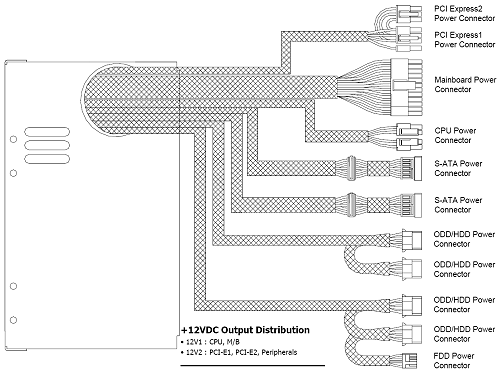 In addition, unwanted heat generation is reduced by minimising "switching loss" through a technique called Zero Voltage Switching (ZVS). Furthermore, the need for an output inductor is eliminated, leading to outstanding stability and reliability and reduced electromagnetic and acoustic noise. Because less heat is produced as an effect of improved efficiency, the unit's (already very quiet) fan can run more slowly which in turn means even quieter operation. The ZM500-RS offers multiple safety features including over-voltage protection, over-current protection, short-circuit protection, under-voltage protection and over-temperature protection. As you would expect, it passes all internationally recognised safety approvals and electromagnetic compatibility (EMC) certifications, including UL, FCC, CE, CB and KCC. 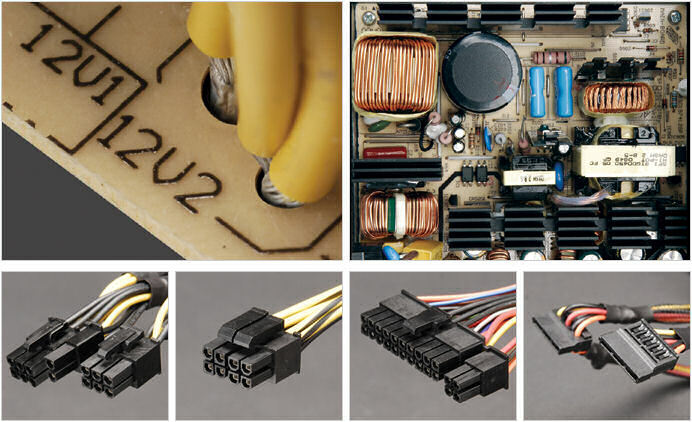 It comes with mounting screws, cable ties and a user manual and unlike modular power supplies, all cables are permanently attached to the unit meaning you won't need to go looking for them when the time comes to upgrade and add another drive or card to your PC! It has two independent +12VDC rails, so you can be sure that any voltage ripples or current spikes caused by your graphics cards or peripherals will not appear on the supply feeding your processor and motherboard, translating into extra stability and reliability. Unsurprisingly, the fan is a top-quality unit with hydro bearing for low noise and long life (150,000 hours expected lifespan, or if you prefer, over 17 years!). Its control circuit is linked to an internal temperature sensor, so the fan will only ever increase in speed if the unit detects that it is working hard and needs a little extra cooling. At all other times, the fan will run at a minimum nominal speed, providing you with a quiet and comfortable computing environment. I'm very happy with this PSU. All the cables have been put into sheaths and tie-wrapped, making them ultra neat and less likely to be a problem within your case. The build quality is very high and the unit is super-quiet. I also thought it was a nice touch to supply this with a mains cable and extra tie-wraps and mounting screws.